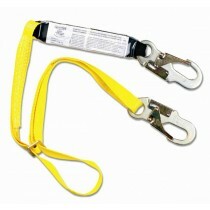 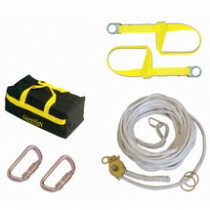 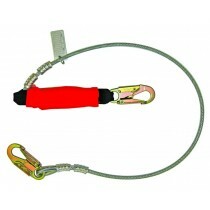 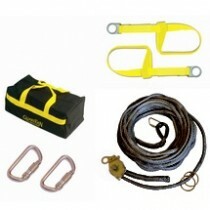 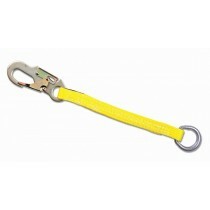 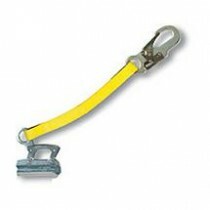 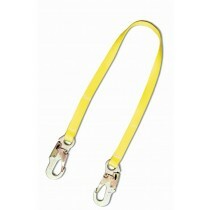 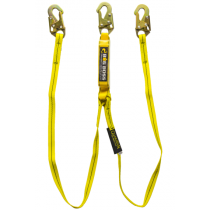 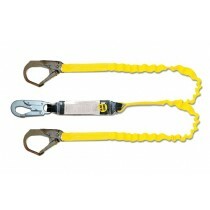 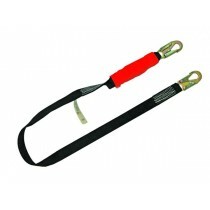 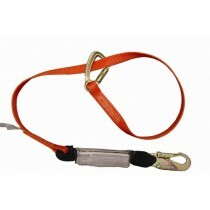 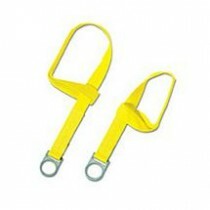 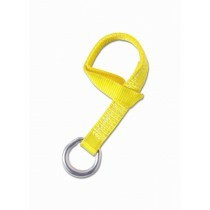 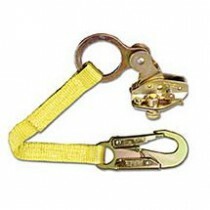 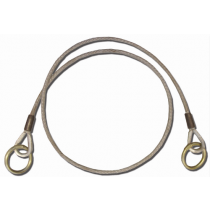 Safety lanyards are a workers vital link to their fall protection anchor point. 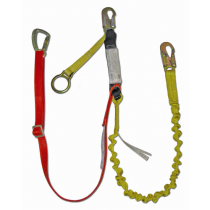 Lanyards are typically short sections of webbing or cable that are usually attached to the D-ring of a workers safety harness. 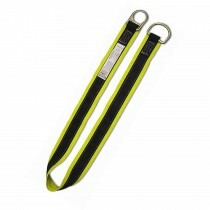 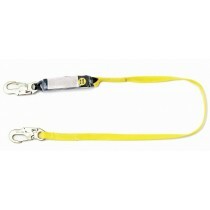 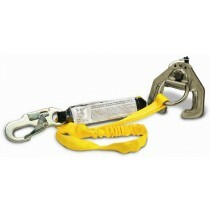 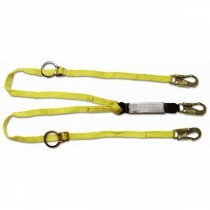 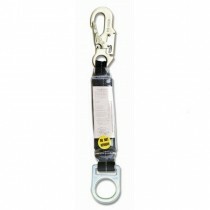 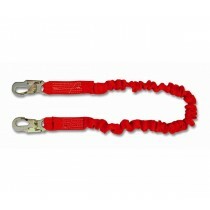 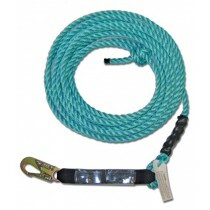 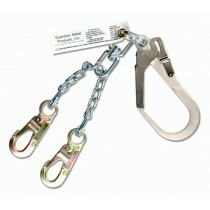 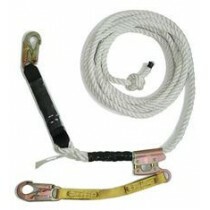 Lanyards can have a shock absorbing feature or simply be a short connection that connects to a lifeline or fall protection anchor point. 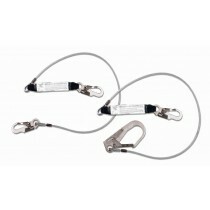 Y-Lanyards allow the the user to navigate obstacles while remaining tied-off 100 percent of the time.